WHY BUY A CONDO IN LITCHFIELD BY THE SEA WHEN YOU CAN BUY A 2 BED 2 BATH HOME WITH GOLF COURSE VIEW AND A SHORT GOLF CART RIDE TO THE BEACH FOR THE SAME PRICE?? 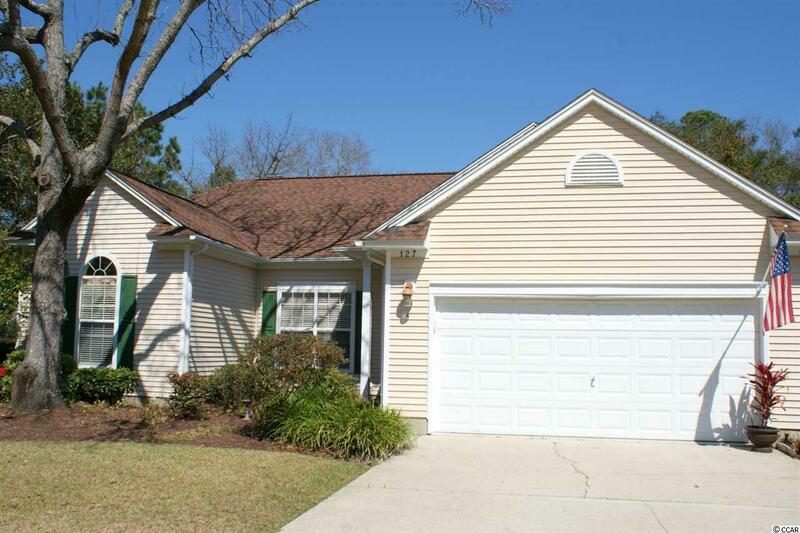 This is one terrific 1700 sf 2 bedroom, 2 bath single family home on gorgeous lot for the price of a condo! Views from the back overlooking #7 green at Tradition Golf Club. 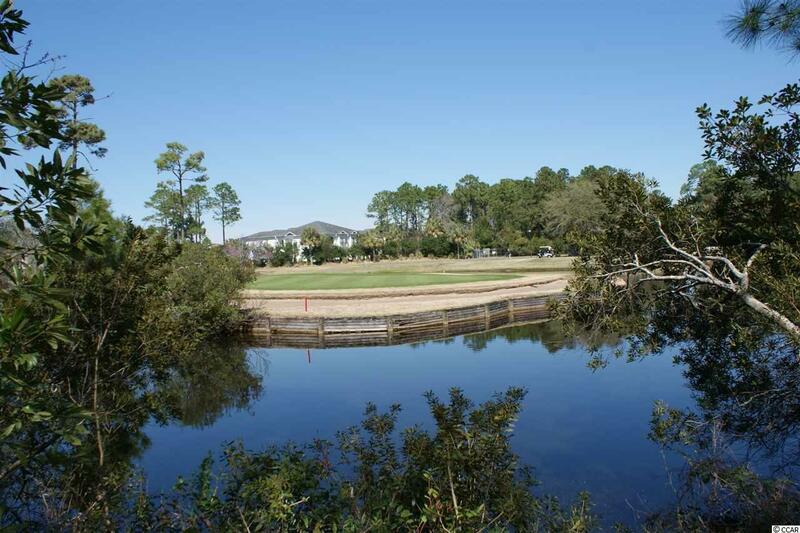 All the rights and privileges that come with ownership in THE most desirable community in Pawleys Island. Pool, clubhouse, tennis course and access to Litchfield by the Sea's private beach club. This home is so close you could walk there! A dedicated golf cart path takes you safely down Willbrook Blvd across 17 to the gates of LBTS. A golf cart would be ideal and there's room for one in the oversized 1 car garage. The two car garage was converted for additional storage and too accommodate the owners golf cart, but is an easy fix back to a two car garage. This home boasts a split bedroom plan. Virtually two masters on opposite sides of the home. 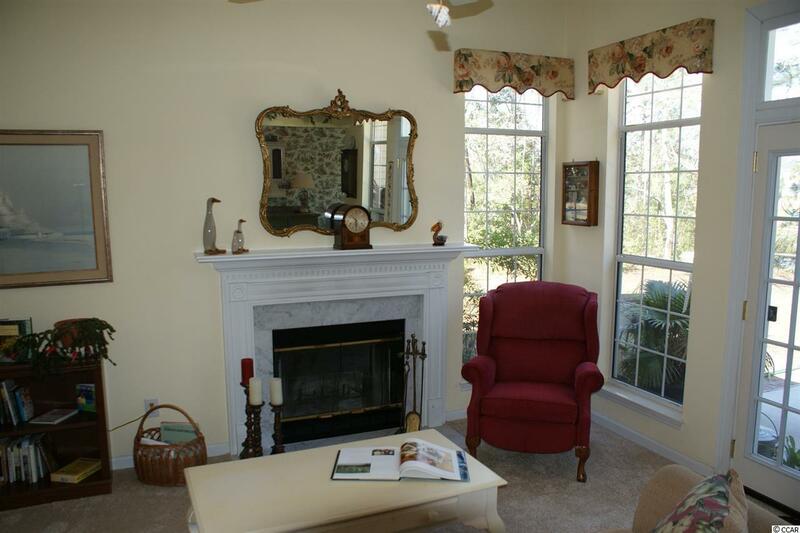 Both rooms are very large and have tall ceiling and a ceiling fan in each. The huge Carolina room was added off the kitchen with permits in 2008. Gleaming hardwood floors in both Carolina room and kitchen. New carpeting was installed in Dec 2018 in the Living room and bedrooms. New LVT flooring was just installed in hall bath and laundry room. Although the house is lovely the yard and location cannot be beat. Once of the largest lots in Tradition. A large sliding door leads out from the Carolina room to an over sized patio and lush landscaping surrounds the property along with a 200 year old Oak tree on the side yard. Althought the property is large it is very low maintenance. No neighbors behind or to the north. Other notable facts are as follows. A new roof was replaced in 2013. A new Water heater was installed in 2018. Carolina Room added in 2008 with permits. HVAC system is only 12 years old and has been maintained continuously. 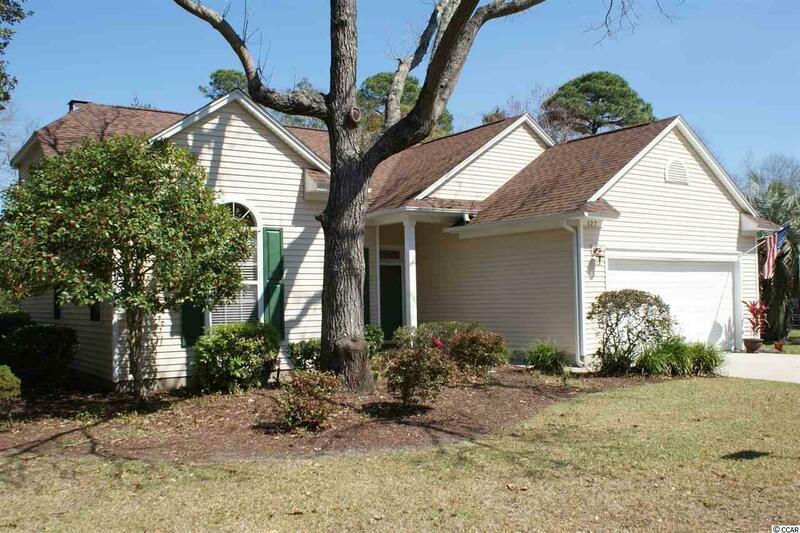 Come see for yourself why everyone looking to buy into the Pawleys Island "lifestyle" wants to live in Tradition!